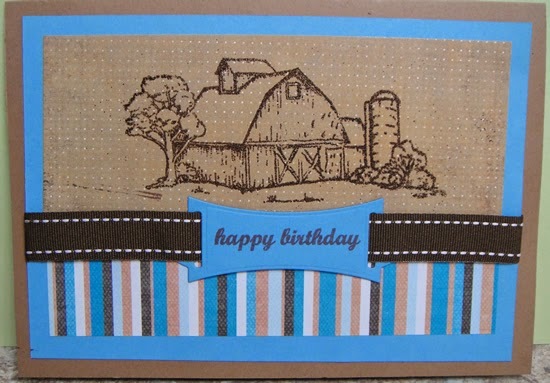 This card is a masculine birthday card. Entered into Modsquad challenge for Blue and Brown. There will be one prize awarded since we didn't hit 100. But I still have it so at a later date will do this again. TOMORROW July 25 I will do a drawing from all subscribers. I will print each name and put into a bowl for the drawing. 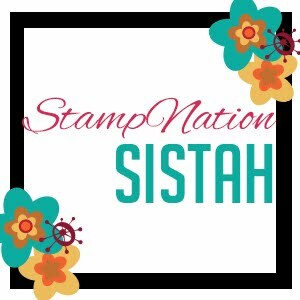 I have some GinaK stamps, distress ink, embossing folders and a bunch of goodies to give away. Please tell your friends. I will post a specific list later on. To enter just click on the blue button on the right - "JOIN THIS SITE." That is all you need to do to enter. If you are already a subscriber then great, you are already entered. And thank you for your support!! I have already taken screen shots of member names and have cut them up. Will add any new entries in the morning. Going to do old fashioned way and draw a name. GinaK Designer paper pack, misc. 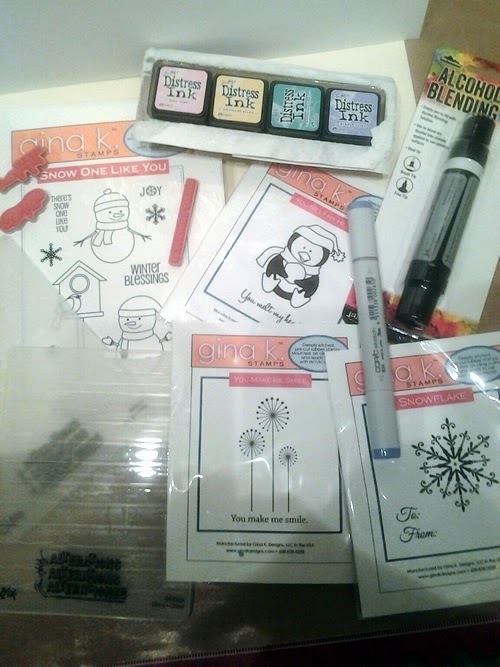 GinaK stamps, Duo Stamp sets, 1 Copic blue Sketch marker, Organza ribbon, white brads, 3 Embossing folders (Crackle, wood grain, brick. 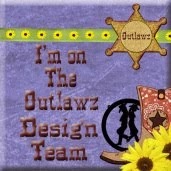 I made this card for the Outlawz Paper Ala Mode Challenge. 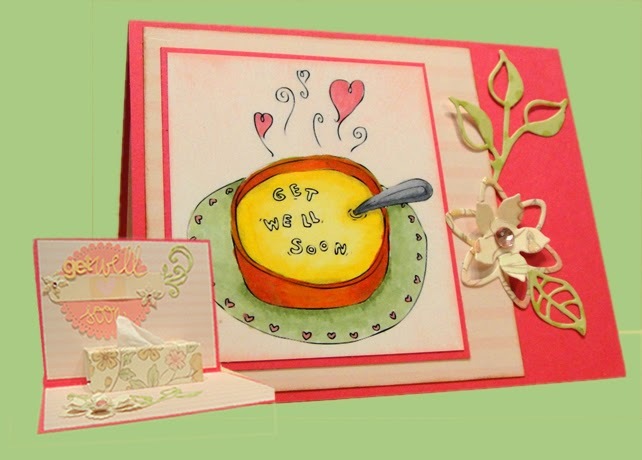 The challenge was for a get well or sympathy card. I used a digital image by Squigglefly. I am not nuts about the colors I used for this image but didn't have time to redo it. The inside was done with the Cameo for the most part. The swirl and flowers are dies. 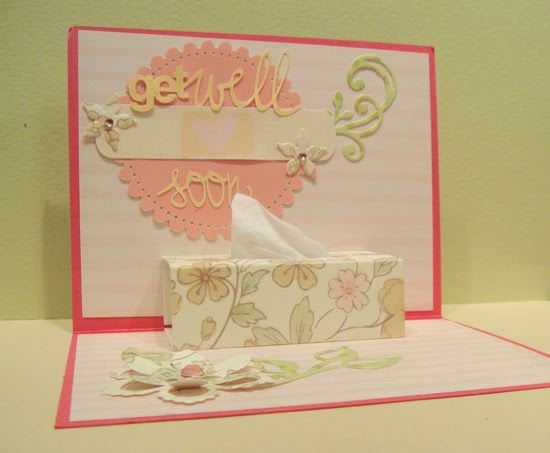 Here is a video for the inside of the card using Silhouette Studio version 3. I used GinaK Stamps, Poster Board. Stamped with Versamark and colored with Perfect Pearls. Tougher than I expected and messy:-) The card is 2.5 X 3 inches. The second is a metal frame. It is 2.5X2.5. This was difficult to photograph. 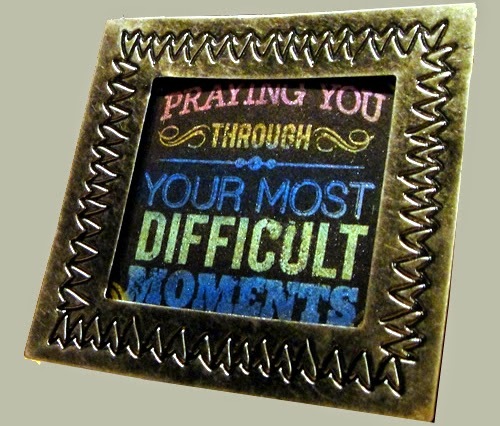 In real life the Praying You shows just fine. I used a Bugaboo squirrel digi, leaves are cut on the Cameo and the leaf & sentiment stamp is from StampTV Autumn Blessing. DT sample for Outlawz Paper Ala Mode Challenge. 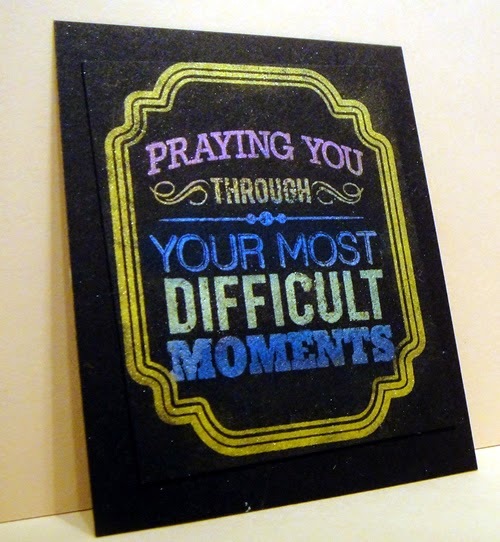 Also entered into Modsquad Challenge - Mini card. On Friday July 25 I will do a drawing from all subscribers. I will print each name and put into a bowl for the drawing. 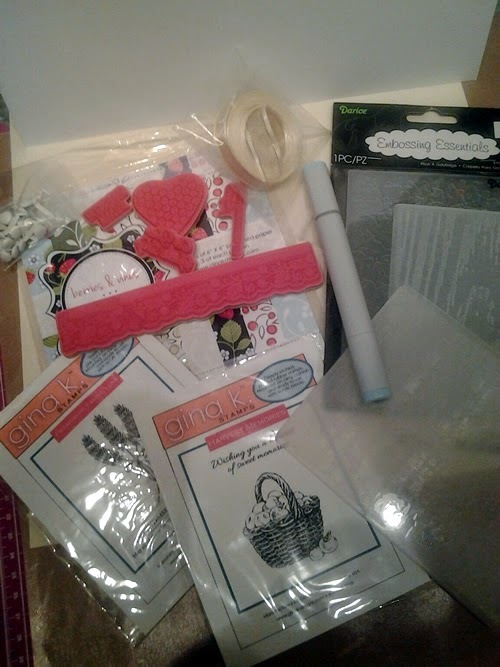 I have some GinaK stamps, distress ink, embossing folders and a bunch of goodies to give away. Please tell your friends. I will post a specific list later on.